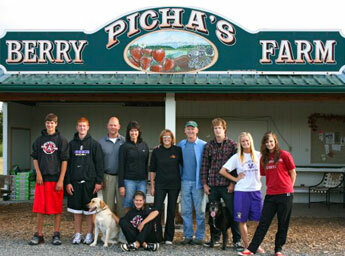 Dan and Russ Picha are third generation farmers carrying on the family business begun by their grandfather Mathias Picha in 1904 and continued by their father Ted Picha. Farming the rich, volcanic soil of the beautiful Puyallup Valley, the Picha Family has earned an excellent reputation throughout the South Sound for providing high quality produce at a great price. Come on down to the family farm and enjoy the bounty of our summer and fall harvests. Once you’ve experienced fresh-picked “local” produce, there’s no turning back!